Lynn C. Harris is a skilled attorney who has helped injury victims and their loved ones in and around the greater Provo area. His legal expertise and guidance is crucial following serious car accidents that result in major injuries and vehicle damage. Even though car accidents on city streets and freeways are serious, a number of auto accidents also occur in parking lots and parking garages, and these kinds of collisions need to be taken seriously as well. While parking lots have low speed limits and do not seem like they would be dangerous, accidents that occur in parking lots and parking garages can be more serious than you think. Not only do fender benders occur, there can be minor and even serious injuries sustained. This is why accidents in all places that involve motor vehicles need to be taken very seriously at all times. One of the most common results of parking lot or parking garage auto accidents is damage to a vehicle. This can include minor dings to a car door a fender, or it may also include damage to items that are within a vehicle, such a smart phones, tablets, electronic devices, or other kinds of goods. When damage to any kind of property occurs as a result of a motor vehicle accident, it's important to hold the negligent party accountable. 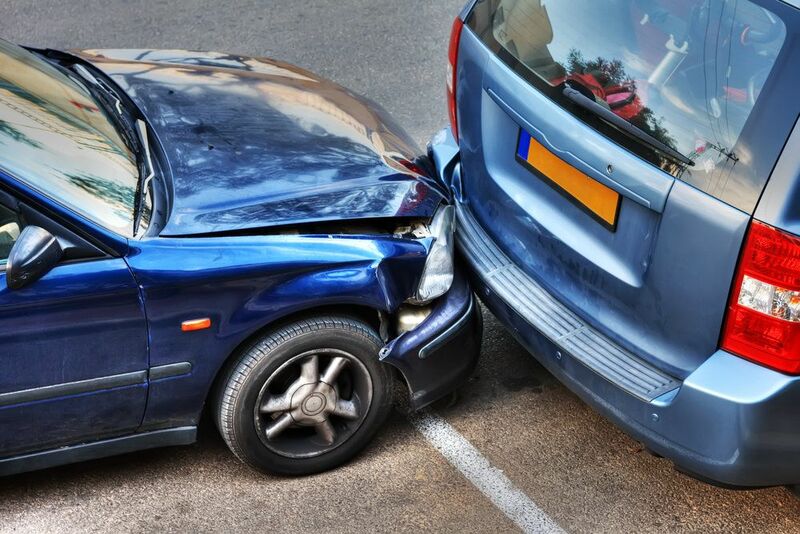 Even at low speed, injury accidents can occur in parking lot auto accidents. Rear end accidents in collisions can lead to neck injuries such as whiplash, or even cause injuries to other parts of the lower spine, the limbs, and your muscles. Cuts and bruises can also occur, and if an accident triggers an airbag to deploy, there is the potential for chemical burns and abrasions as a result of the deployment. Other motorists are not the only individuals at risk of injury during parking lot auto accidents. Pedestrians and bicyclists are also at risk of sustaining serious injuries. While walking through the parking lot, there is a possibility of getting struck by an inattentive motorist. Bicyclists who may be otherwise abiding by the rules of the road may similarly be struck by vehicles, resulting in severe injuries as a result. Since pedestrians and bicyclists are more exposed than people in motor vehicles, the injuries that they may experience can be quite severe and even more serious than motorists. By having a skilled auto accident attorney on your side, you will be able to have strong counsel during your time of legal need, allowing you to collect damages for injuries and other kinds of hardships endured. To learn more about your legal rights following any sort of motor vehicle collision, be sure to contact a skilled personal injury attorney today. Lynn C. Harris and his team will help you in your time of legal need.